The quality of Haendel Designs products is defined by its design, materials used and especially how they are applied. Haendel Design products are manufactured by highly skilled Spanish artisans who maintain a tradition which is century's old. They know all about the interaction between materials, the effect of various reinforcements and how this creates a luxury impact and durability. The Grand Weekender, Weekender and Holdall outside leather is calfskin type TED. The calfskin is supple, yet rugged enough to withstand regular use. The grain is natural and asymmetrical. The Messenger outside leather is Balisse calfskin. 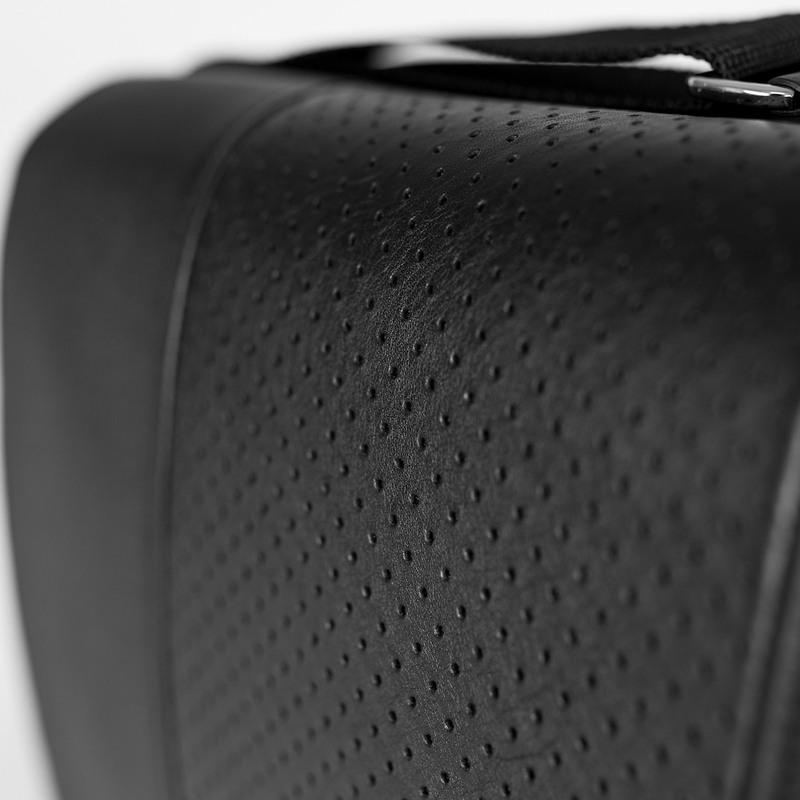 Balisse is a smooth, fine type of leather, especially suited to use on designer luggage. It has a light grain. Also known as houndstooth or pied-de-poule. Pepita originated in the Scottish Lowlands. Pepita is woven from sheep wool. 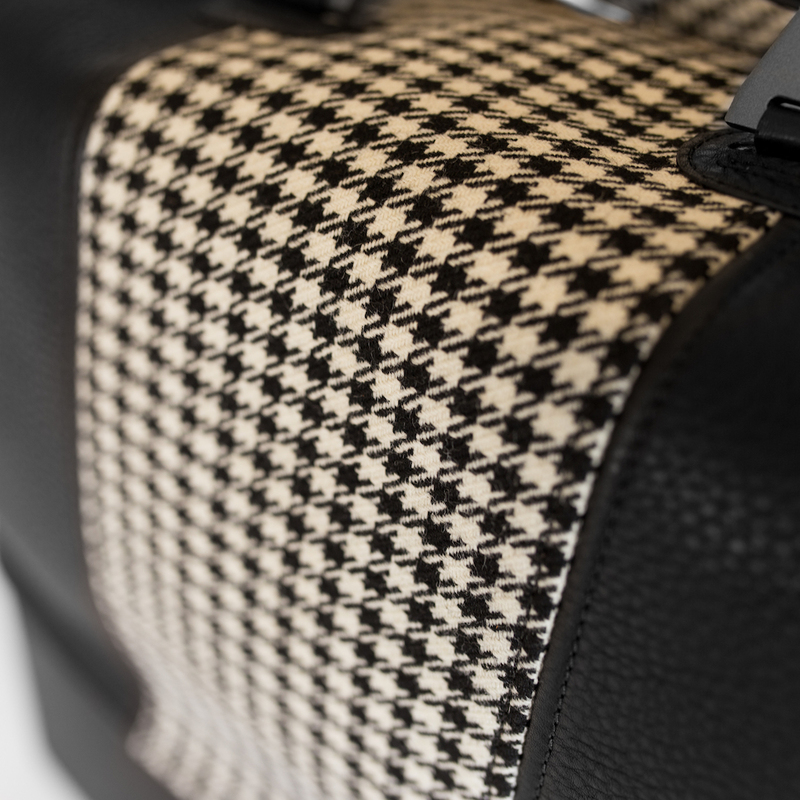 Haendel Design uses 2 different colour patterns in the Grand Weekender, Weekender and Holdall. 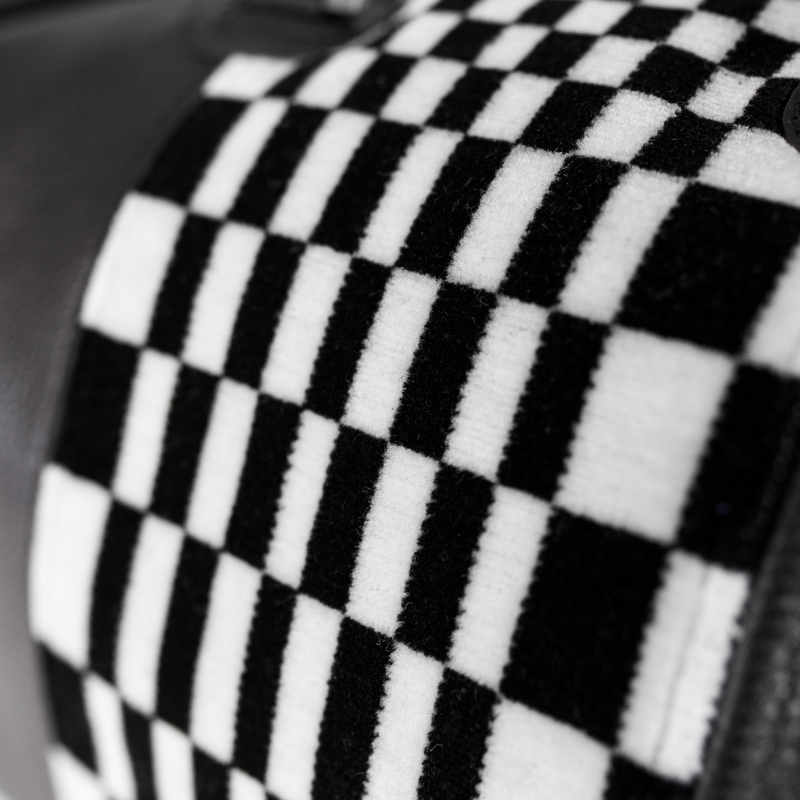 In the 60's and 70's Pied de Poule was a popular option for the seat centre of automobiles. Pascha is a psychedelic pattern used in sports car interiors in the 70's. The total pattern consists of a 150cm wide ball shape, represented by a collection of squares and trapezia. Because Haendel uses sections of this pattern only, each Pascha decorated bag's look is absolutely unique. 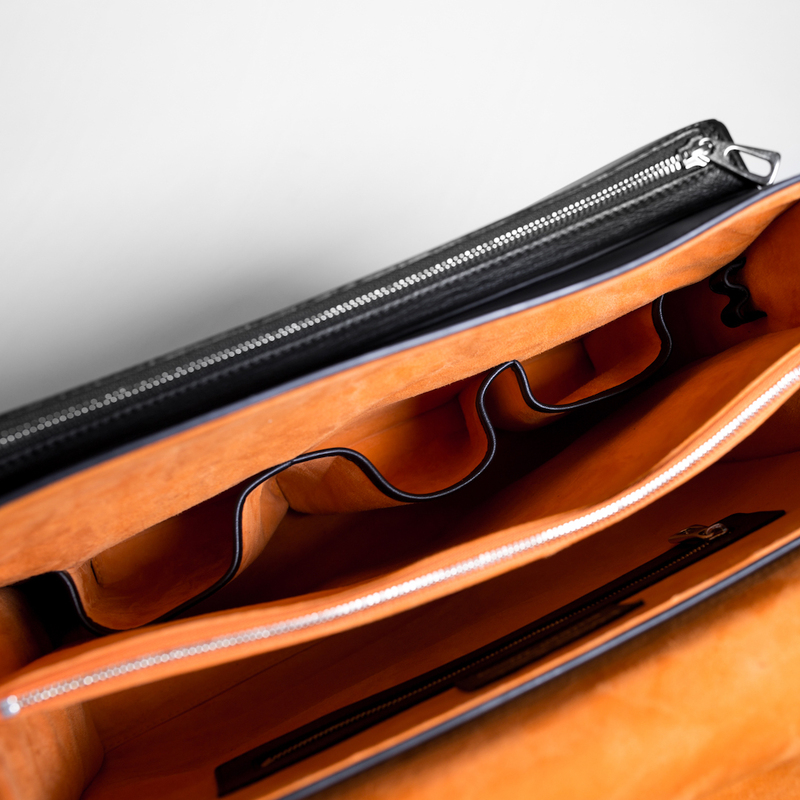 Haendel Design uses orange leather nappa suede in every travel bag. The striking orange colour represents the Haendel Design brand values of happiness, freedom and individuality. The national Dutch colour represents similar values present in the liberal Dutch culture.